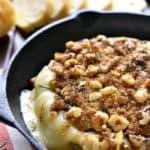 Brown Sugar Walnut Baked Brie is the perfect blend of savory and sweet and makes a delicious holiday appetizer recipe! Serve it with fresh bread, apple slices, or crackers for a quick and easy snack that’s sure to please all your holiday guests! 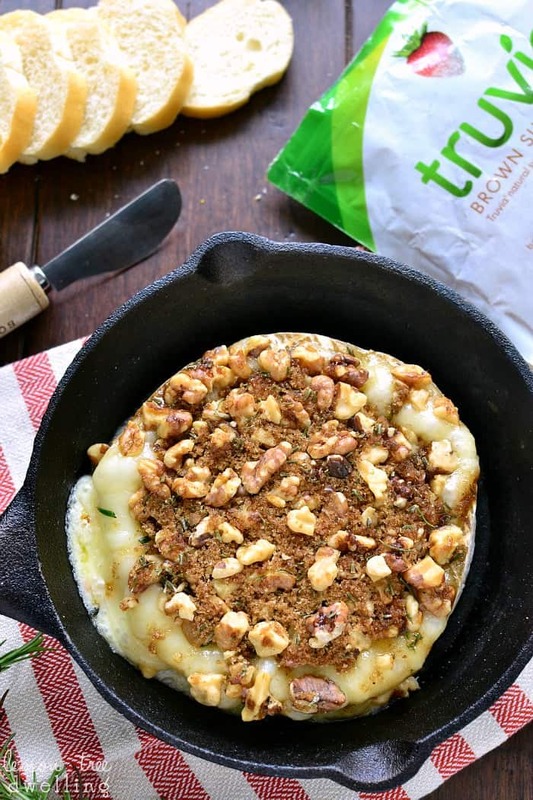 I partnered with Truvia to bring you this recipe. Thank you for supporting the brands that make Lemon Tree Dwelling possible! Do you ever have the feeling that you could just live it up with the appetizer recipes and skip the meal, altogether? It’s a feeling I have often….and I’m totally not sad about it. Appetizers are my favorite! To the point where I’ve started suggesting appetizers only nearly every time we go out! I’m not sure where my love of them comes from, but I’m pretty sure it has something to do with the fact that sharing food always makes it taste better. That….and the fact that appetizers are always all kinds of delicious. 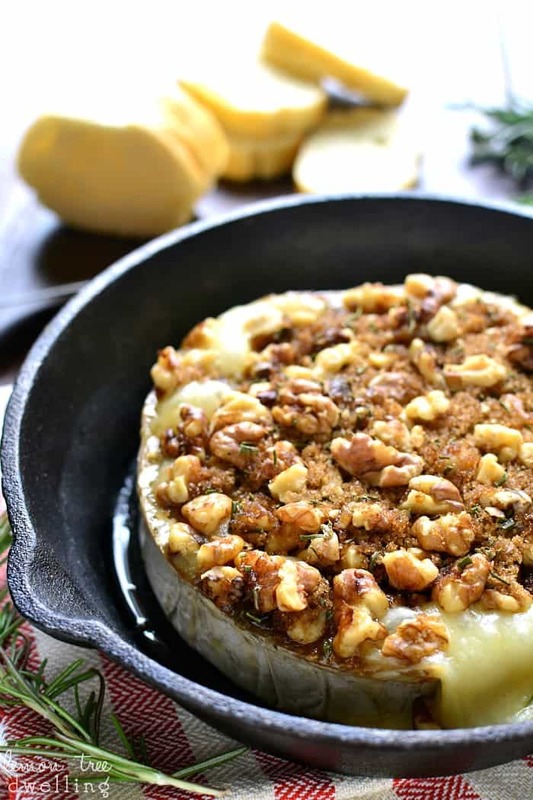 This Brown Sugar Walnut Baked Brie recipe is no exception. It’s sweet and savory and SO easy to make. And you seriously can never go wrong with melted cheese, am I right?? But what I love most about this baked brie is the fact that it’s the perfect starter for so many meals….including Thanksgiving dinner! It’s simple enough that it won’t fill you up, but delicious enough that it’s completely satisfying. Best of all, it’s lightened up with Truvia®, so you get all the satisfaction without all the sugar! 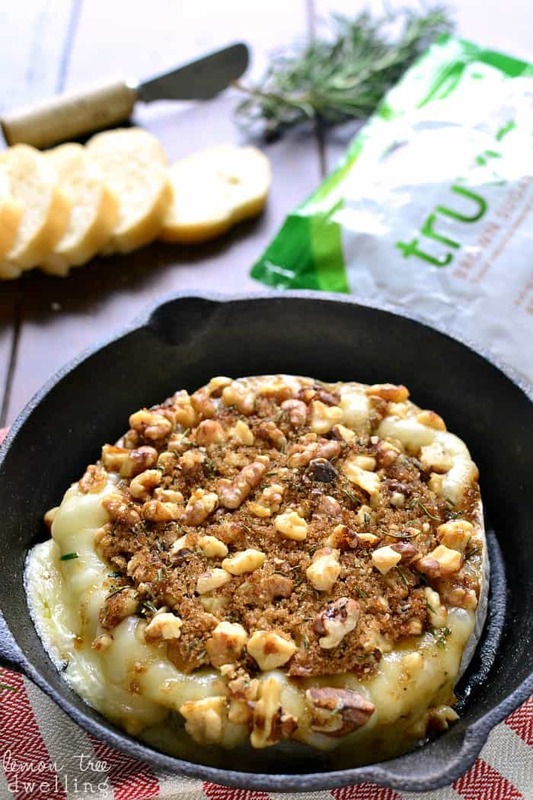 There’s something about the combination of warm, bubbly brie with toasted walnuts and Truvia® Brown Sugar Blend. 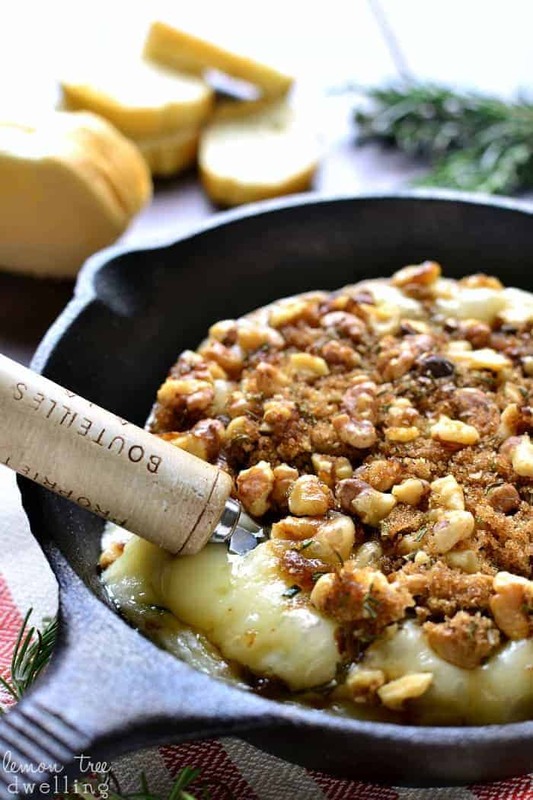 The walnuts add just the right amount of crunch, and the brown sugar melts right into the brie in the most delicious way. Add in some ginger and fresh rosemary and it’s the perfect blend of savory and sweet. Perfect for Turkey Day or any day! And perfect for sharing with friends. Do you do a “Friendsgiving” this time of year? We’ve had a long-standing tradition for the past several years of getting together with close friends after Thanksgiving. And even though you might think we’d be full of turkey by that point, the truth is, we make the entire feast! If you’ve never done one, maybe this is the year to start. Or, if nothing else, I hope you’ll join me in a virtual Friendsgiving! I’ve joined together with some blogging friends for a little Turkey Day hop. Stop by and visit The Taylor House for the main course and Cooking with Ruthie for dessert! For more holiday recipes using Truvia, visit their website! Spoon brown sugar mixture over brie; place in shallow baking dish. Bake at 350 degrees 20 minutes or until cheese is bubbly. Serve with bread, apple slices, or crakers. I am totally making this asap. Oh my gosh, this is heaven on a plate! I love that fact that this is a little lighter then the usual version! It looks delicious, I will definitely be giving it a try in the coming weeks. I’m also with you, I think I could live on appetizers alone given the choice! You’re so right! You can never go wrong with melted cheese! This is a stunning appetizer!! I could totally make a meal out of appetizers, especially when they are THIS good! This is seriously the most gorgeous baked brie! This has to be the most perfeclooking appetizer. I just want to gobble it up right through my screen. This looks crazy tempting! 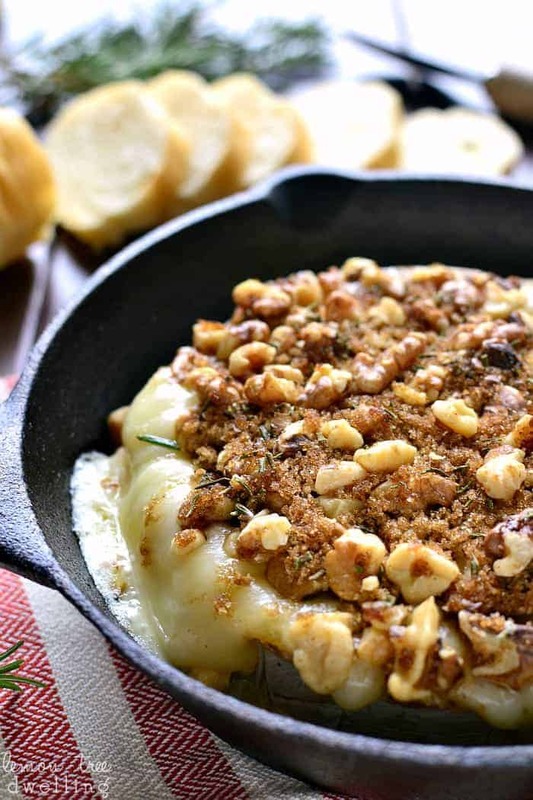 Gooey cheese with sweet topping – sign me up! Eat a meal made of entirely appetizers?! Um…YES! That would be my favorite meal EVER! This baked brie would for sure make the list! It looks so, so good! Love the walnuts and brown sugar. Yum! 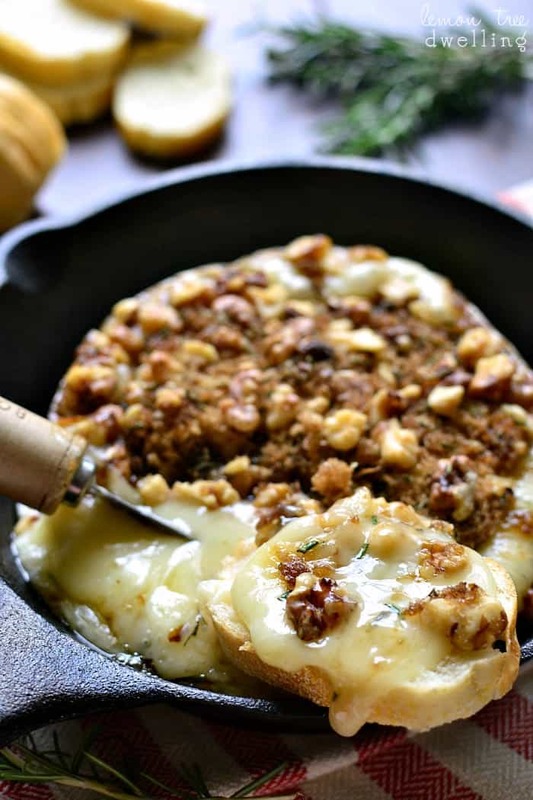 I could totally live on appetizers alone, especially with this amazing baked brie! I love the brown sugar, walnuts, and herbs…this just looks so good, Cathy! Love baked brie! This one looks perfect with all that brown sugar. Girl, I think I have more appetizers planned for Thanksgiving than actual food! I kind of want to run to the store for ingredients for this now! It looks seriously amazing! This looks so luxurious. I could probably eat the entire thing all by myself! I made it and it taste as good as it looks, could not stop eating it. So glad to hear, Raeann!